Seriously you guys, I FINALLY made something! 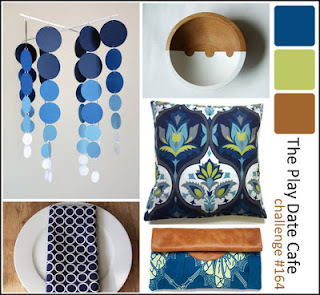 I was inspired by two different things the first: Colors from The Playdate Cafe oh Playdate how I have missed you! colors + sketch = . . . . . When the Playdate girls listed out the colors they named the brown one "leather" this immediately made me think of Jennifer Mcguire's faux leather technique (used here). While I didn't do the technique it did make me want to emboss and ink. I cut some hexagons, embossed them, and inked them with brushed corduroy distress ink. I laid them down to form my "platform"
To create the green banner I turned the striped background from Hero Arts at an angle and stamped it with versamark. Once I heat set my white embossing powder I trimmed it to size. I trimmed a smalled white banner for my sentiment. I managed to create a few more cards after this one too . . .I don't want to say I'm back (Oh please, oh please, oh please) I'm just grateful I was able to make anything and I'm sure hoping it sticks around! 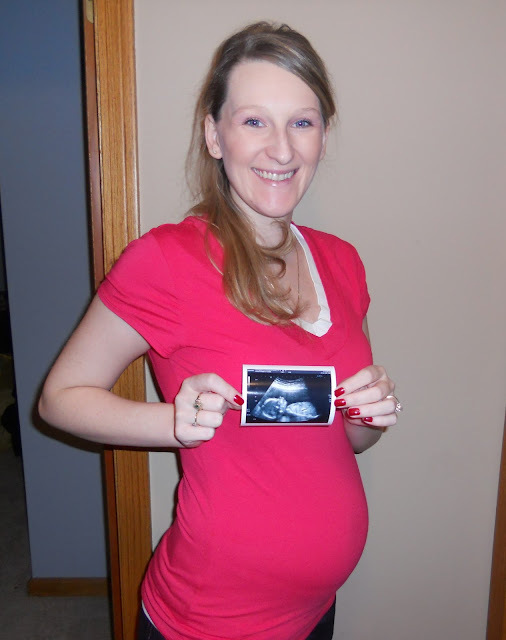 For all of those who I'm not friends with on facebook and would like to see the baby here is a little snapshot. What a pretty card! Great design and cool ideas you used! And I truly understand as when I was pregnant with my son I could not be creative for anything! It was like I couldn't think like that! LOL You look fabulous! I literally took a year break when I got pregnant and for the first couple months of my sons life. I like to say all my crafty energy went into creating him! :-) No worries — just create when you can! This card is totally gorgeous! Man, even with your extended break you's still a rock star! Just totally gorgeous! What a GORGEOUS card!!! You did a great job!! Beautiful picture; you two ;) look GREAT! wow, that's a stunning card Kelly! I love the kraft embossed hexagons and the gorgeous butterfly! Lovely picture of you and your little one too! Love the card Kelly! The embossed hexagons provide an awesome background! Stay well! Wow! The faux leather technique is amazing! I love the green and white stripe, too. Glad your mojo is back. :) Thanks for joining us at The Play Date Cafe! I absolutely love how CAS this is, but with a hint of distressing. I also love that it is so BOLD! Thanks for playing along with as at The Play Date Cafe! That pretty butterfly is a nice contrast to the kraft and distressing. Just beautiful! We've missed you too, Kelly : ) It's so great to see you so happy and that baby is one adorable cutie!! Your card is such a great entry to the challenge! This is so well deserved!!! Love your technique on the hexies! BIG congrats on your PDCC win!! !